Today ITR released the results of a statewide public opinion survey measuring voters’ sentiment on property tax reform. 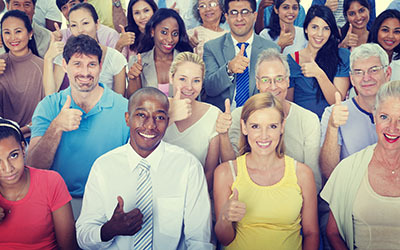 Property tax reform is ITR’s top policy priority during the 2019 legislative session. The results are clear and bipartisan. Over two-thirds of Iowans believe property tax reform should be reviewed by legislators this year, including 70.7 percent of Republicans, 64.5 percent of Democrats, and 68.2 percent of independents. 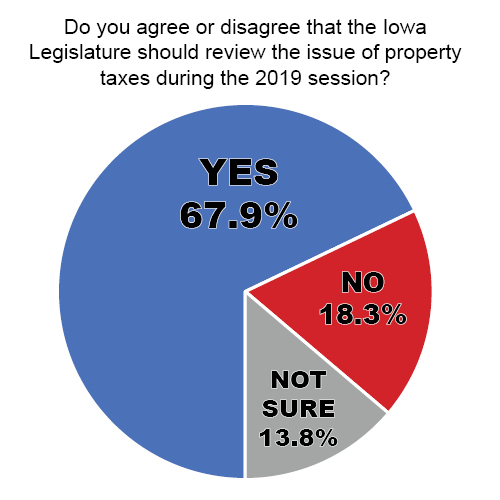 Additionally, a majority of Iowans think that the legislature should establish a property tax cap that limits the annual growth of taxes levied, including 58.5 percent of Republicans, 45.4 percent of Democrats, and 54.9 percent of independents. Property taxes in Iowa are unaffordable and are one of the largest challenges facing household and small business budgets. ITR members tell us that property taxes are complicated, that they are too high, and worst of all, that they force them to consider selling their homes or moving out of Iowa. What many elected officials misunderstand is that it’s the revenue, not the rate, that matters. The Iowa legislature can help provide taxpayers with property tax relief by establishing a revenue limit on property tax growth. A property tax revenue growth limit would not interfere with the assessment process, but it could control the increase of property tax bills while ensuring that local governments continue to have enough revenue to fund their priorities. Utah’s Truth in Taxation process and New York’s property tax cap, a 2011 law that remains the signature economic achievement for Governor Andrew Cuomo, as examples of effective taxpayer protections. Both states utilize revenue growth limits to protect property owners from huge tax increases due to increased assessments. As Iowa’s leading taxpayer watchdog group, we take our role to deliver tax relief to the people seriously. Stay updated on Iowa’s property tax reform by signing up for our email updates.